Most organizations today rely on a wide network of people and businesses to accelerate growth and stay ahead of the competition. Customers, contractors, partners, resellers and distributors make up your extended enterprise and expand your reach far beyond what you could do with your employees alone. Provide your Extended Enterprise a secure, private environment to access courseware, product training, virtual classrooms, certifications—all the knowledge and tools they need to succeed. When your extended audience succeeds, you succeed. 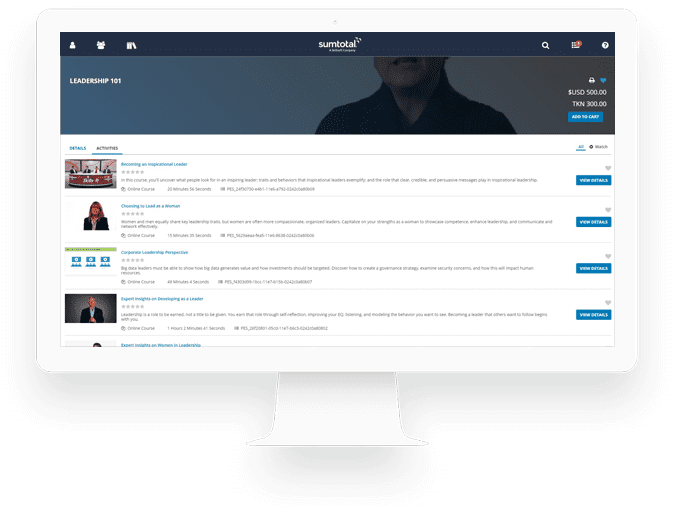 SumTotal makes it easy for people to search, discover and be served the precise learning they need to resolve skills gaps, boost performance, create talent agility and cultivate leaders. SumTotal’s Extended Enterprise gives organizations greater control over the content they offer to their external audiences. Easy to use Administrator Tools allow you to determine the cost of activities based on audience, the currencies they are sold in, how long users have access to their purchased program content, and bundle activities together. 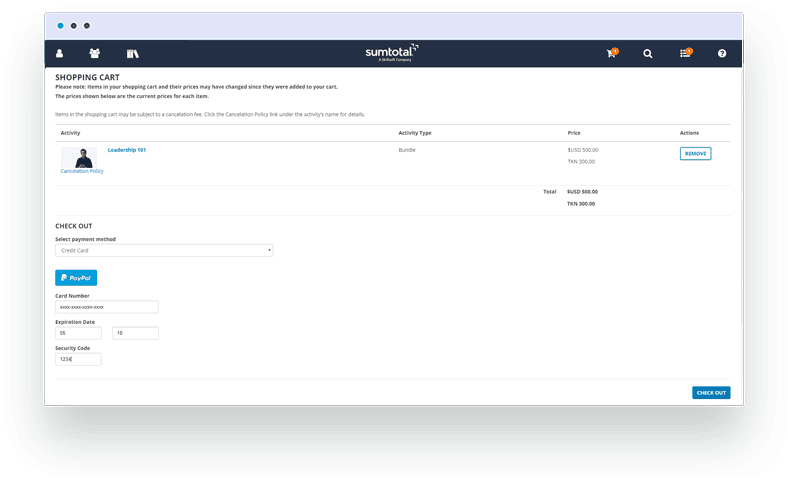 SumTotal is making it easy for learners to manage and pay for content in one transaction with convenient activity bundles, shopping cart and invoice screens, and notifications for purchase and content expiration.